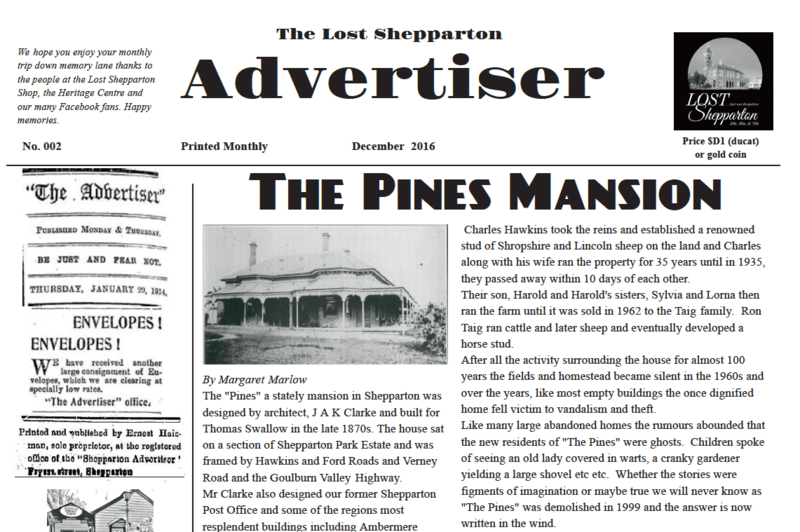 You can purchase the FULL set of the first 12 issues (to download) at the online Lost Shepparton Shop - Cost $10. ​Hard copy available at the Shop for $15. 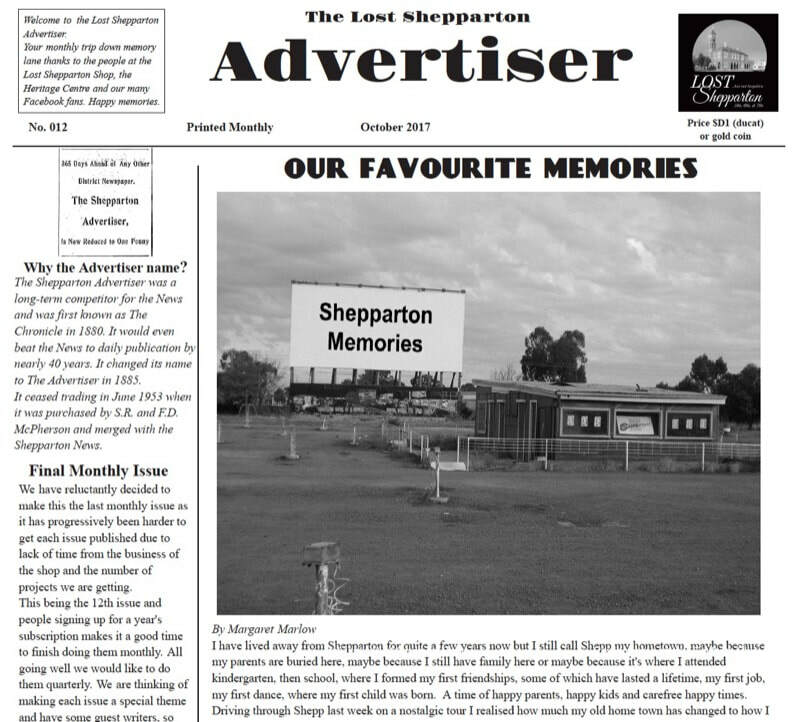 In 2018 we will be producing 4 special editions of the Lost Shepparton Advertiser which will be on themes and linked with video content for Members only. Cost only $10 for the year. See our online shop. 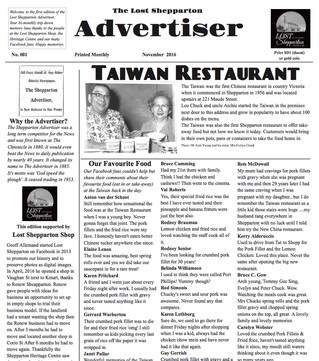 Members - Paid Subscribers' link to download pdf or eNewspaper for all issues. *Please note this is a quality digital version and may not print up as well. 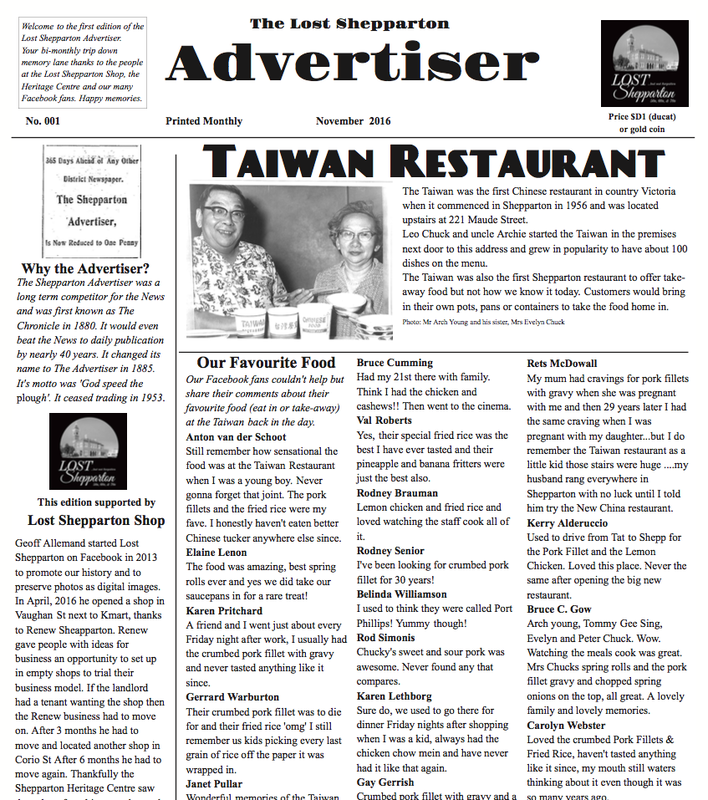 Each edition features a main theme, Facebook comments, photos, old Advertiser snippets and adverts. 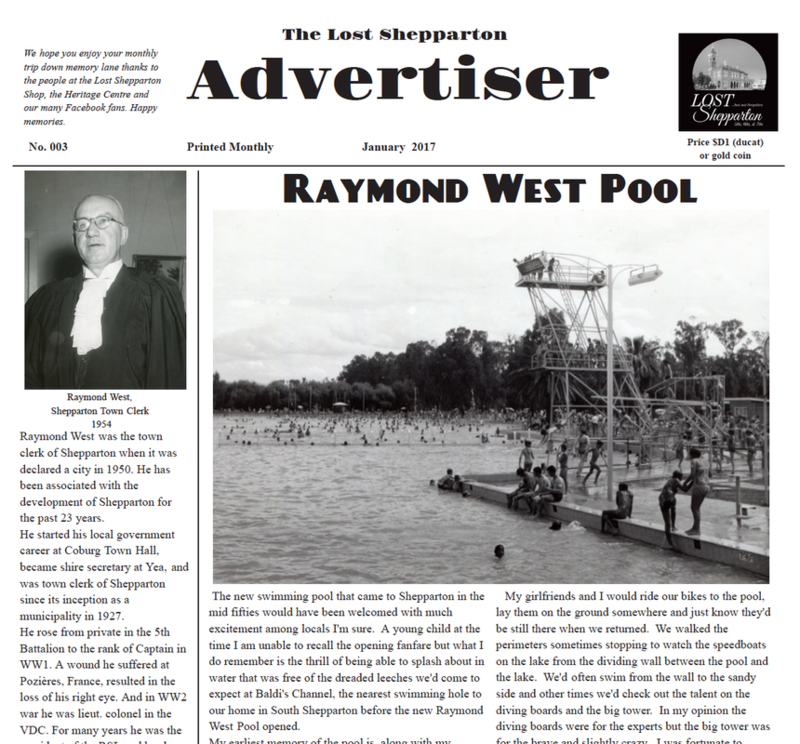 Famous People in Shepp and Victoria Park Lake.